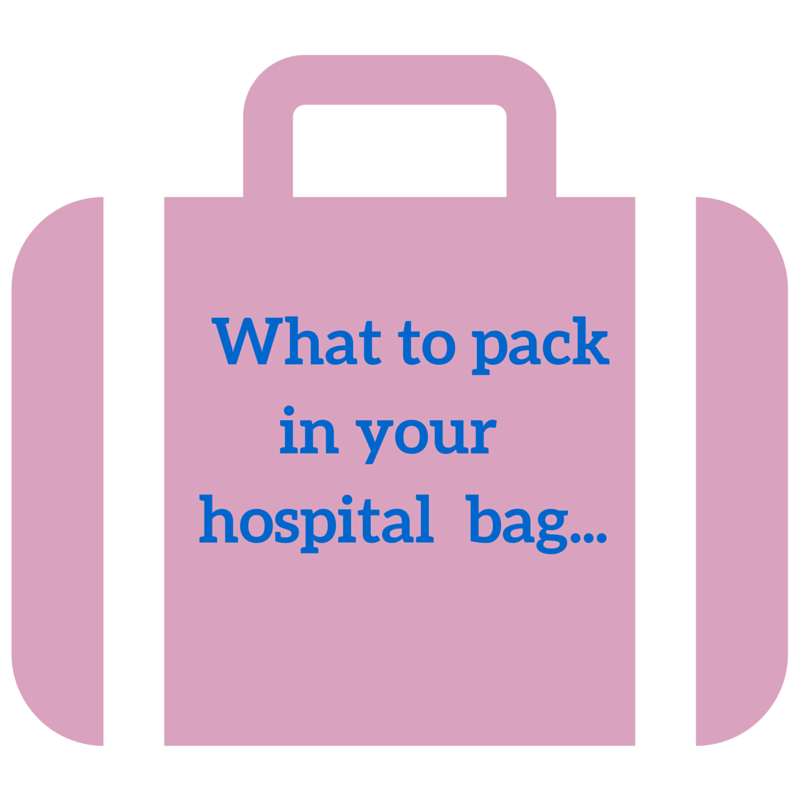 You’ll either get given a list from your midwife or will likely Google what to take to the hospital…. But here’s what no one tells you: you actually don’t need half that crap and it’ll sit in that suitcase for MONTHS after you get home because you’re too busy with a newborn and you never use that stuff anyway. I packed a separate bag for baby, then for me, I combined all of my stuff into one suitcase, with before and after birth stuff in separate compartments. It was easy to order people around on where to find stuff. Choose what you’ll labour in and then pack two sets – I wanted a big long stretchy t shirt/nightie but once my waters unexpectedly broke I had to ditch it for a gross hospital gown. I wore a soft sports bra so at least my top half was modest. The rest was basically all out and on show. Heh. A few snacks plus good quality drink bottles. I could’ve used gum or mints to hide the spew breath since apparently birthing a human causes me to barf the entire contents of my stomach. Socks – my feet got so cold during labour and afterwards too. Soft fabric headband – to keep the hair out of your eyes during contractions. On that note, a good hairbrush – and a husband or midwife that can brush your hair for you if you’ve got an IV line in each hand like I did. Lip balm – labour dries out your mouth so badly!! Body wash, shampoo, face wash – you’re going to have the most glorious shower of your life after baby is finally out (phew!). Big, soft clothing for daytime – I wore the death out of a pair of black stretchy harem pants, feeding cami’s from Kmart and soft cardigans. At night I wore oversized bed shirt PJ’s that domed open and a feeding cami – because the hospital gowns are not cute. A 6 pack of massive, cheap, black undies – don’t even bother taking these home to wash, you’ll shudder and throw them out each day. Witch hazel in a little spray bottle and arnica (little homeopathic pills you dissolve under your tongue) – for healing your “down there’s”. Nip cream – I liked the Lansinoh brand as you don’t have to take it off before feeding baby. I bought the big tube and didn’t regret it!! I’ve heard that it can double up as a lip balm too if you’re lucky to have not used it all up. Ear plugs and an eye mask to block out the most enraging noise of being on a hospital ward. Enough space in your luggage to make off with as many free hospital maternity pads, breast pads, changing mats, baby wipes, nappies and other hospital stuff. The best thing I took was sterile syringes for feeding a teeny newborn a little expressed milk, or to administer pain relief medication. Makeup – can you believe I actually packed makeup? As if I’d have time to do my face!? Ha ha ha ha ha ha!!! Maternity pads – use as many of the free hospital ones, they’re so expensive, and you need 6 weeks worth (for the love of God). Save yours for home! Body moisturiser – I couldn’t actually bend down to apply said moisturiser but here’s to me for thinking I’d be able to. Ha! Leggings – In my defence, they seemed like a good idea but I found my tummy was SO FREAKIN SORE from the surgery incision that tight clothing was my enemy. Books or magazines – you won’t have time or the mental or emotional capacity to read some crap someone wrote once (my blog excluded). iPad – see above. For some reason I thought I’d have time to cruise the web. Loser. More than three changes of clothes. You’ll honestly not feel like changing unless you absolutely need to. Tissues. Someone bought me a box and it sat in the corner. Food. Anything that wasn’t snack food sat uneaten. So sandwiches, sushi and muffins can GTF outta here! A notebook or diary or anything that commits you to writing. It just won’t happen. If you want to be super diligent mum and log feeds and nappy changes find an app that’ll do it for you. Thanks to my friend Kate for her suggestions, we had similar ideas on what was useful!! What would you not use next time?